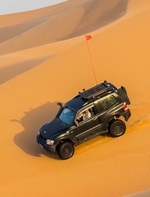 wadi Asima all day drive ((the winning trip)) - Page 3 - Dubai Offroaders - Just for Fun! 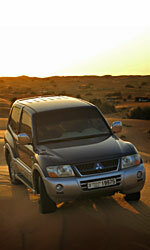 if u dont wish to join the wadi drive this weekend pls feel free to opt for either one of friday and saturday drives. make sure to de-register from this one first though so we could have a proper head count! The poll is closed no more votes. And ya as @joe.zeinoun say starfish dunes have to wait for another day. 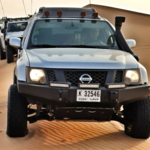 Vehicle Make & Model: Nissan Patrol SE 2013, modified with King Suspension, aFe Power Momentum HD air intake, Snorkel, Total Choas Upper Control Arms, New Headers, ECU remap, Pedal Box, Method Alloys with Cooper AT3 Tyres. I'll have to skip this one out. Have a great time guys! Thankfully the wadi finished soon after. Wadi Asima is tooted as a great drive but I imagine that very few of the drivers on this trip would be itching to get back. No fault of any ones, just the way it is. Once out of the wadi we headed for the dunes of RAK. we a couple of retirement Abdullah did his best to make the drive a success and after more than a few stuck vehicles, a pop out, some great steep declines and many unpredictable dunes we finished around 5.30 and headed home. Thanks as always to Abduallah for leading the convoy, his patience is immense!